Show your appreciation with a beautiful bouquet of flowers. Send some bright orange roses, gerbera and other orange flowers to brighten up a special day. International flower delivery to 100+ countries with FloraQueen. Share a beautiful and thoughtful message of gratitude by sending flowers to say thank you. Let FloraQueen help you send your thoughts with a variety of special bouquets that will show your appreciation for the support you have received from the important people in your life. Say thank you without words with a stunning arrangement of fresh flowers delivered to addresses internationally. Why are flowers the best way to say thank you? Giving thank you flowers creates a beautiful moment and a positive memory that will truly help you show just how important your loved one’s support has been. You may be sending a gift to thank someone for helping you with your studies, moving house or to just show someone how much you appreciate them being in your life. A bouquet of flowers is a great way to express your gratitude with an extra emotional twist. What are the best flowers to say thank you? There are lots of amazing thank you flowers to share with your friends and relatives. There are many different types of bouquet to show your gratitude. For example, sending white lilies is a great way to sincerely thank your wedding guest for sharing your special day with you or alstroemerias to send a message of appreciation to a friend. Don’t forget we also have lots of options available so you can add a card, or note to share a written message with your bouquet. Is it easy to send thank you flowers overseas? Sending flowers abroad is easy thanks to FloraQueen’s international flower delivery service to over 100 countries. Simply choose the flowers you like best from our catalogue and tell us where and when you want to send your bouquet. 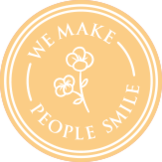 From there your flowers will be arranged at one of our European bouquet creation centres or by our network of international local florists and delivered to your chosen address. Show your appreciation with flowers and send a beautiful bouquet in just a few clicks. Can you deliver thank you flowers fast? An international flower delivery can be sent to someone very fast. 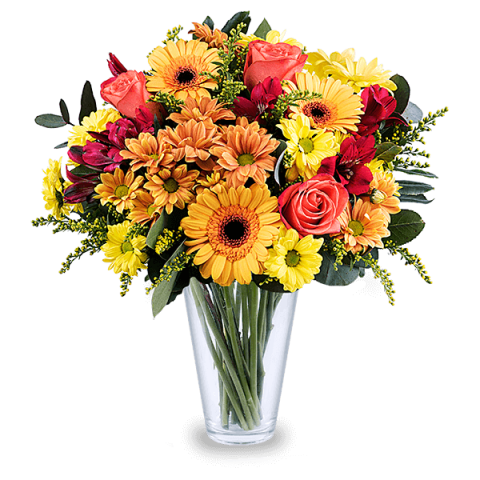 We offer same and next day delivery on many of our bouquets allowing you to send your thank you bouquet quickly and easily.